I've been writing for as long as I can remember, keeping journals, writing poetry and crazy short stories. It took me 15 years of playing around before I got serious and submitted Lake Effect for consideration. Well, I'm a sucker for that "happily ever after" thing and the romance genre fills that void. I do read a real cross section of books but my go to is always romance. I would say for every one main stream book I read, I read ten romance novels. LOL, I may have issues! 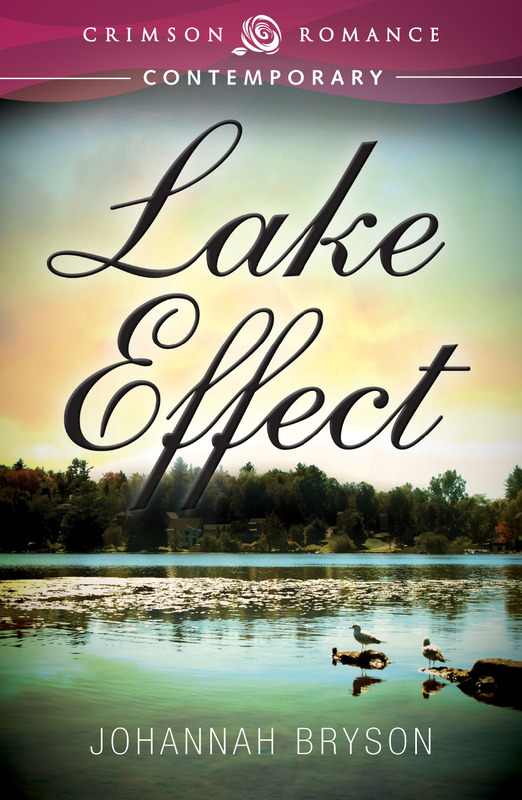 Lake Effect is the story of a woman who has lost all she held dear but who manages to pick up the pieces and move on with her life. She's resigned herself to the idea that she will live that life alone but her wise collie dog has other plans. 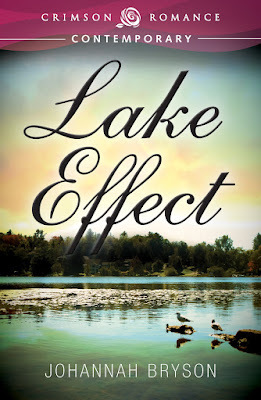 Get Lake Effect from Amazon. My husband and I love to go to Chautauqua, New York and Lakeside, Ohio which is also a Chautauqua. From the quaint ginger-bread houses to the views of Lake Erie, the area is nothing but inspiration. When I'm there, the peaceful atmosphere just lends itself to writing. We've also raised 4 collies and one Border collie, I could fill a book with dog antics. Oh wow, that's always such a tough question for me as I don't know my actors and actresses like I should. That being said, I can for sure see Bradley Cooper as Wyeth Packard and someone like Jennifer Anniston for Shelby. This one is easy for me! Isak Dinesin's Out of Africa. Although the book is still a better story, they did a great job capturing the characters and the feel of that era. I re-read that book every year, it just sings to my romantic soul. The last book I read was Before we were Strangers, byRenee Carlino and yes, by all means, read it! I couldn't put the darn thing down. Now that our kids are grown and gone I've got a marvelous office where my daughters old bedroom used to be. As much as I love it, a small cottage on the lake or by the sea would be my dream location. I am a Certified Personal Chef having gone back to college at the age of 48. My husband and I ran a successful catering business together for six years. Now we just cook for friends and family but I will still teach cooking on the odd occasion. You can see my work at Chef In Attendance on Facebook and Instagram. Cleveland is an amazing little town with a big city feel. A great food scene, a world class orchestra and theater district, and the amazing beauty of Lake Erie. The Rock Hall, some incredible museums, Tremont, Ohio City, Little Italy ~ can you tell I absolutely love my city? And best of all, these things are all very affordable. Everything! It can be a location, a song, a look on someone's face. It can be something as simple as the way the sun shines through the window. I find inspiration everywhere. My husband will tell you it's him and I will tell you he's the dead husband in chapter one that everyone loved, but he's dead. LOL Seriously though, and let's not tell him this, my husband is my muse for handsome romantic hero's. I am working on a second and third book that play off a character from the first. I also have a romantic comedy and several other ideas in the wings. I want to travel abroad. I want to see Ireland, England, Scotland and Wales first, then I'll work my way through Paris and the like. I write best with no music and no distractions. However, every other minute of my day is filled with mucic and I like it all. I have rap, hip hop, oldies, classical, French, country and gospel on my i-pod, just to name a few. Currently it's Eric Church's Wrecking Ball, but all time favorite, man that's hard. I'd have to say Van Morrison's In The Garden. Both of them are romance novels in a song form, so there you go, I'm nothing if not predictable. Johannah Bryson was born and raised in Northeast Ohio. She loves to tell people about the beauty of Cleveland and the surrounding areas, including the islands of Lake Erie, the Wine Trails you can find in every direction and the many fabulous resources available for chefs, foodies, music lovers and more. She's married for more than 30 years to her real life hero. Together they've raised a son, daughter, and a fair number of collie dogs over the years. 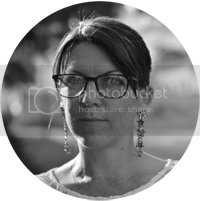 In addition to writing, Johannah is a Certified Personal Chef who enjoys supporting the many locally run food specialty shops, green grocers and organic farms in and around the area. 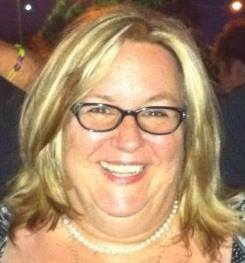 Readers can find Johannah on Facebook at Johannah Bryson. On Twitter @johannahbryson or follow her food life on Instagram at @Chef_In_Attendance or on Facebook at Chef In Attendance.